Thank you for your interest in CPR, please check the choices below for a list of upcoming CPR classes, and to register for them. Please be sure that you choose the CPR course right for you. Healthcare providers include nurses, first responders, life guards, and other healthcare professionals. This course includes the use of specialized devices which are not commonly found outside of a health care setting. If you require CPR and AED training for your occupation and are unsure which course satisfies the requirement, please contact us prior to registering for a course. Standard CPR/AED classes are certification courses that are approximately three (3) hours in length. Students must be at least ten years of age to attend. Please register for any of the classes below by filling out this form. Please note that registration for all classes will close one week prior to class date. Unless otherwise noted, all courses will be taught at the Southampton Fire Department's Hampton Road fire station. 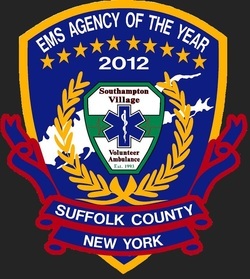 The station is located at 470 Hampton Road (Intersection of Narrow Lane and Hampton Road) in Southampton Village. BLS for Healthcare Provider courses are offered by request. Based off the dates requested, an instructor will be assigned the class. The fee for this class is $50 per student. The instructor may also charge up to $125 per course per 6 students to be billed separately to the instructor. Please fill the form below out and we will contact you with further information. Standard pricing is $50 per student. Special pricing may apply on groups of 7 or more. One instructor is required for every 6 students. Please provide at least two different dates or specific days/times that you would be requesting.